Suteau Anver develops in the last 70 years a wide range of machines dedicated to the « flexible material converting » industry. 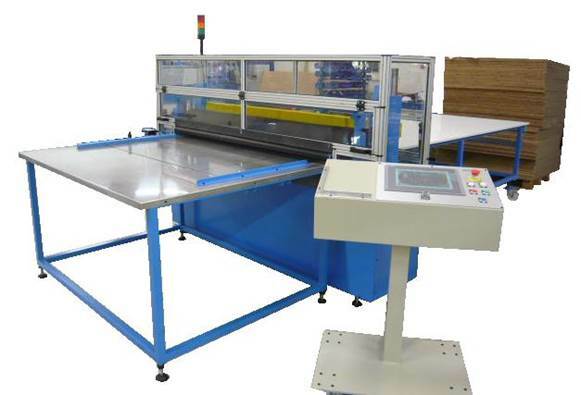 In our range of machines, we are proud to present our complete range of “Cross Cutting Lines”. Starting with our smallest machine able to cut on a width of 100mm to our largest automatic cross cutting line till 2000mm width, you will easily find a corresponding machine to your needs. Our smallest machines can be used in different kind of applications: ropes, straps, etc…and can even be mounted on a table for easy access of the operators. Once we go to our industrial range, and more automatic lines, we will feed our cross-cutter unit by a specific infeed system with double rollers. This system allows us to have an accuracy of cutting precision of +/- 1mm. Another machine in our range is our: “High Output Cutting Device”, with a cutting speed at 130 strokes/min on a width of 650mm. The line can be equipped with a specific unwinding system (clockwise and anti-clockwise unwinding, pneumatic expanding shaft, etc…). In the outfeed, we can provide our lines with: stacking systems for piles, automatic palletization systems or any other outfeed device to make of your device a complete automatic line. Last but not least: all our lines are designed respecting the highest security levels and taking into account the ergonomics for your operators. Typical applications for our industrial range: rubber, foam, plastics, glass fiber. 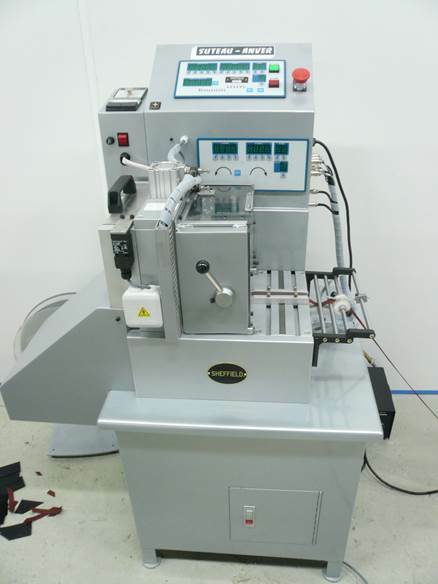 This complete range of machines always comes with the Suteau Anver reliability and quality. To be able to respond correctly to all your applications, it should be good to ask us for further information, allowing us to take up the project with you, and to design the specific needed line for your unique application.